Parent idea swap for March is open! This months theme is 'busy bags' and all portable children's activities, link up all your blog posts for anything relevant, new or old and as many as you like! It would be great if you could add the badge but it's not compulsory and it would be lovely if you left some comments on other links. 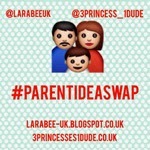 We'll save all links on our #parentideaswap pinterest board too. This month myself and Leandra are offering one lovely reader/linker upper/Tweeter/Instagrammer the chance to win their choice of Busy Bag from Curious Minds Busy Bag Shop. 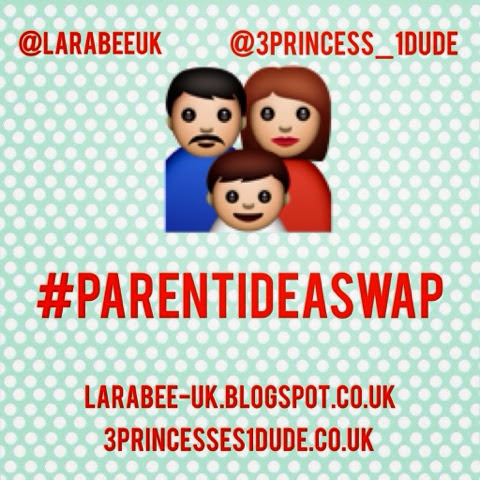 All you have to do is share your ideas with us either here on the link up OR over on Twitter and Instagram using the hashtag #ParentIdeaSwap and remember to tag one or both of us so we see your entry! Every entrant will be given a number, in the form of a list kept by the competition holder/s. One entry per person though you can link/tweet/instagram as many posts as you would like. I think that covers just about everything? Any questions just pop a comment below, or comment on Twitter/Instagram, and we will get back to you as soon as possible. I was going to link a few posts up, but how do you know which one is my competition entry if I do?